Set your timer for four minutes, crack the egg and gently drop in water. After four minutes remove it with a slotted spoon and eat while it's warm. Is such a simple tip, yet it saved my life. I love how Julia Child likes to adds a poached eggs to her onion soup. She says it's a very french thing to do. I personally never heard of poached eggs in onion soups until I watched this video. Now, I'm obsessed with the idea. If you want to watch Julia Child recipe for her onion soup just watch the video below. If you are only interested with her poached egg technique just skip it to the 11:00 minute mark. 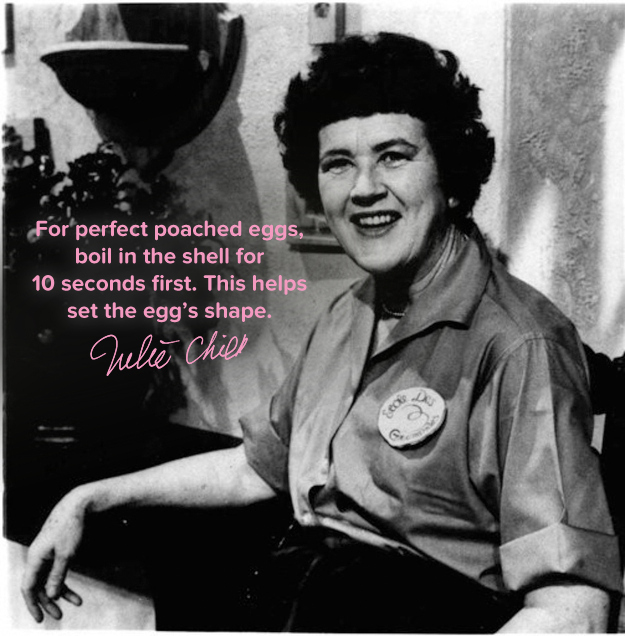 Hope this tip is useful and like Julia Child used to say Bon Appetit! !